It pays to develop a shopping list of stocks to focus on during market corrections. Even companies with strong fundamentals will see their stock prices fluctuate, sometimes dramatically. And there are few things more disappointing than seeing a big loss on a high quality position. One way to increase the odds of entering your trade before a big advance is to use the stock's moving averages. 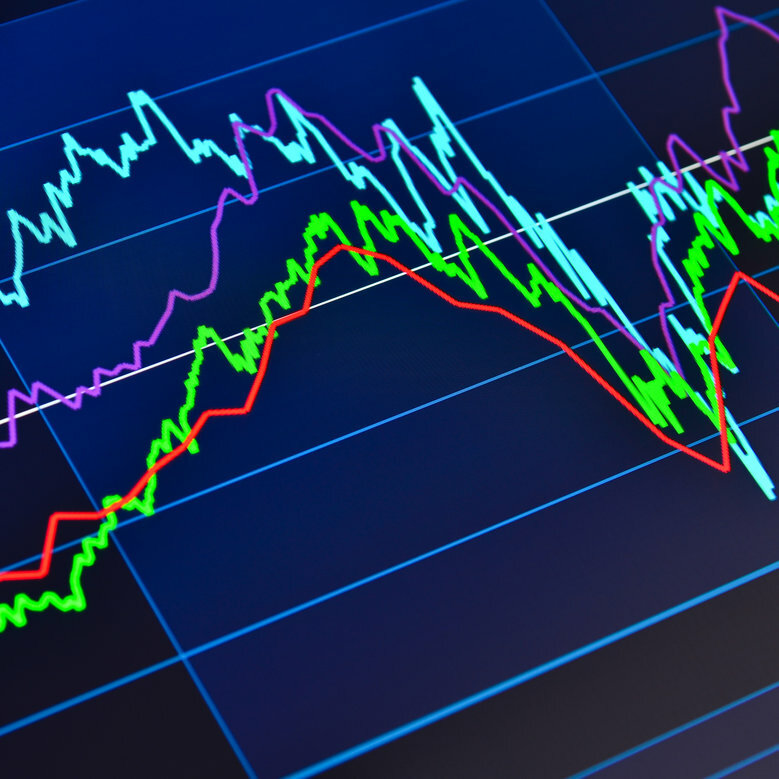 Moving averages "smooth out" price charts to reduce the noise of the stock's volatility. And they can be key indicators of upward price movement, especially when shorter-term moving averages cross from below to above longer-term moving averages. In fact, technical analysts consider such crosses one of the most powerful buy indicators in the market. A simple moving average (SMA) is calculated by averaging the closing price of the stock over a given number of time periods. An exponential moving average (EMA) does the same thing except it gives progressively more weight to the latest data. I prefer to use the EMA. Look at a long-term chart for clues as to which moving average has been most important for that security in the past. That would be the moving average that's most likely to work the best in the future. This is because large institutional investors will often move a security based on evidence they see in whatever moving average they consider key for that stock or ETF. For example, if institutional traders think a stock will bounce at the 50-day EMA, they will buy the stock at the 50-day EMA. And that will cause the stock to bounce at the 50-day EMA. Below is a three-year chart of Tesla Motors (Nasdaq: TSLA). As you can see, there are many moving averages on the chart. Don't worry. Once you find the one you're looking for you can eliminate the others. We use longer-term moving averages like the 200-day and the 100-day to find longer-term buying opportunities within long-term trends. The 50-day moving average is best used for intermediate-term buying opportunities. And the 20-day and 10-day are for short-term buying opportunities. Notice how the 200-day EMA seemed to support the stock price in November of 2013. The 100-day EMA is more sensitive to price fluctuation and offered many more buying opportunities along the way. You have to decide if you want to potentially wait for a year or more to buy the stock you've identified as a long-term winner or if you'll be more aggressive and buy the dips that are shorter term in nature. After temporarily breaking below the 100-day EMA, Tesla Motors resumed its uptrend. During the last two significant pullbacks, the price found support at the intermediate-term 50-day moving average. Therefore, as an intermediate-term investor, I'd feel comfortable using the 50-day moving average for entry points. When you're deciding which moving average is best for a particular stock or ETF, feel free to use unpopular moving averages if they fit best. For example, you could use a 48-day moving average or a 160-day moving average. Again, whatever worked best in the past is likely the best bet for the future. P.S. The "crossing" of short- and long-term moving averages is perhaps the most powerful buy signal of all. Alex Green has discovered three stocks likely to experience this so-called "golden cross" beginning on August 29. To learn more, click here. Some indicators don't rely on charts, but they can still be quite powerful. Matt Carr noticed some years ago that many stocks have particular periods throughout the year when they almost always surge, and other periods when they correct. Matt calls these bullish times Prime Profit Periods because they work almost like clockwork. And sometimes the factors that drive the Prime Periods are almost comically obvious. "The warmer weather, summer vacations and baseball being in full swing creates the most profitable times for alcohol and beverage companies," Matt advised his Emerging Trends Trader subscribers last year. So Matt recommended in May that his readers grab some shares of Boston Brewing. And those who did had plenty to celebrate, as the company charged nearly 58% in just six months. "The position served us quite well, including the highest return ever in the history of The Oxford Club with our September $175 [option] calls gaining 1,888.72%. "All in all, not too shabby..."
And Matt is making the same recommendation this year. So far, though, with the broader market wobbly, Boston hasn't seen the same surge - yet. Matt is watching the situation closely, but if Boston's Prime Period is delayed, then time remains for investors to hitch a ride.